Do Primo® Pre-Filled Exchange Water bottles fit all water dispensers? Primo® Water bottles are designed to a standard specification and should fit most water dispensers. Does Primo® Pre-Filled Exchange Water contain Fluoride? Primo® Pre-Filled Exchange Water does not contain fluoride. Does Primo® Pre-Filled Exchange Water have an expiration date? According to the US FDA, bottled water has no expiration date. Primo® Water can be stored indefinitely as long as the bottles are kept in a cool location and out of direct sunlight. How is Primo® Pre-Filled Exchange Water purified? Using a 9-step purification process we ensure that you enjoy high-quality, great-tasting water. Click here to learn more. Is Primo® Water safe for my pets and aquarium? Yes. Your pets can enjoy our great-tasting water! Consult an aquarium expert for advice on specific needs for fish and amphibians. Where can I purchase Primo® Pre-Filled Exchange Water? Primo® Pre-Filled Exchange Water is available nationwide at thousands of convenient locations. Click here to find a local store where Primo® Water is available. Where does the water that Primo uses come from? Primo® Water originates from municipal sources. Do I get a deposit back for my bottle when I stop using the Primo® Water Pre-Filled Exchange program? Primo does not have a deposit program in the United States. When you make the initial purchase of a 3 or 5-gallon pre-filled bottle from Primo, you are purchasing the bottle also. We offer an exchange program in which you can place your empty 3 or 5-gallon bottle into our recycling center at your local store and you will receive an exchange ticket that allows you to purchase your next pre-filled bottle at a reduced price. We will accept any 3 or 5-gallon bottle as an exchange. 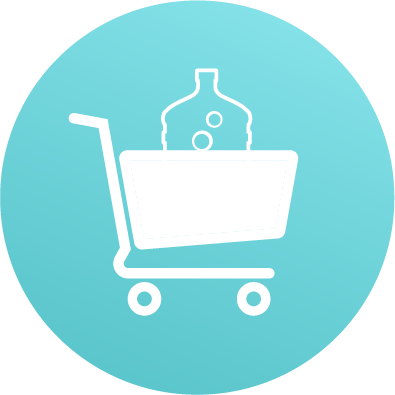 If you are no longer interested in using Primo Water Exchange, we offer an empty bottle credit program. Visit www.primowater.com/empty-bottle-credit for additional information. Where can I view your Water Quality Report? My top-loading water dispenser is leaking. View this video for troubleshooting steps. I’m not able to dispense water from my top loading water dispenser. My top loading water dispenser is not producing cold water. My top loading water dispenser is not producing hot water. Turn all switches to the off position. Unplug the unit. After a few minutes, plug the unit back in, turn the switches back on and give it one hour and recheck the water temperature. If this does not correct the issue, please call our Customer Service Center. How should I store my top loading water dispenser when going on vacation? Any time you intend to leave your dispenser for more than a week, the reservoir should have all water removed. Unplug the dispenser, open the drain plug on the back and remove water from the hot reservoir. Empty the cold reservoir by dispensing water from the cold tap at the front of the dispenser. Leave the dispenser unplugged and dry until you are ready to begin use. How often should I clean my top loading water dispenser? You should clean your dispenser every 3 months. How do I clean my dispenser? Primo recommends that you use the instructions below to dissolve mineral deposits, sanitize, and deodorize your dispenser every 3-4 months. Time Required: 30 minutes Need: (2) tablespoon regular bleach or (2) cups of distilled white vinegar, (1) Empty 5 gallon bottle, (1) 2-gallon bucket and a Philips head screwdriver. Turn energy saving switches to OFF. Unplug power cord from wall outlet. Move appliance away from wall to gain access to the back. Remove remaining water from reservoirs by dispensing from the hot and cold taps into a pitcher or bucket. Remove the cap from a spare empty 5 gallon bottle. Pour the bleach (2 tbsp.) or vinegar (2 cups) and hot tap water (2 Gallons) into the empty bottle. Apply the cleaning bottle to the dispenser. Allow the cleaning solution to fill the reservoirs. Wait 10 minutes then drain the water from the reservoirs as described in step 5. Rinse the bottle and fill with only hot tap water and apply it to the dispenser. Place a two gallon bucket in the back of the appliance and remove the drain plug, while also flushing water through the taps (step 5). Replace the silicone plug and drain cap. Return the unit to its location, install a fresh water bottle, plug the power cord into the grounded wall outlet and turn the energy saving switch ON. Where can I find my dispenser's manual? Click here to view all dispenser manuals. My bottom-loading water dispenser is leaking. I’m not able to dispense water from my bottom loading water dispenser. My bottom loading water dispenser is not producing cold water. My bottom loading water dispenser is not producing hot water. How should I store my bottom loading water dispenser when going on vacation? How often should I clean my bottom loading water dispenser? Is my probe adjustable for 3 Gallon Bottles? Yes, all probes are adjustable. At the top of the probe, there are tabs that when pressed together simultaneously will release the bottom portion to adjust to a 3 gallon bottle. What bottle sizes can I use with the Countertop Dispenser? The Countertop dispenser can accept both the 3 and 5 gallon sized bottles. Are Primo® Self-Service Refill bottles BPA free? Yes. Primo® Self-Service Refill bottles are BPA free. How often should I clean my bottle? Does the Primo® Self-Service Refill Water filtration system eliminate chlorine? Yes. Primo’s filtration process features activated carbon filtration and a reverse osmosis membrane to eliminate chlorine. Does the Primo® Self-Service Refill Water purification process destroy bacteria and viruses? Yes. The ultraviolet lights destroy (disinfect) 99.9% of bacteria and viruses. 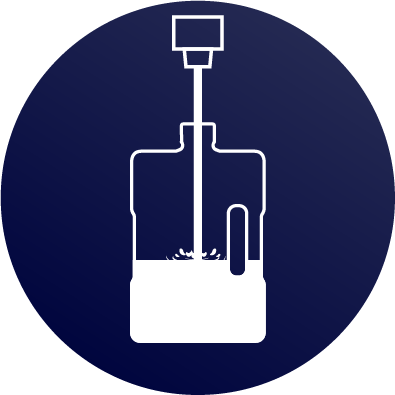 What filtration processes are used by Primo® Self-Service Refill Stations? Our process also includes ultraviolet sterilization to ensure safe, high-quality water. Is it safe to store water in plastic bottles? Yes. Primo bottles are considered a food contact surface. All of our bottles are composed of food grade resins and meet all US FDA requirements. Where can I purchase Primo® Self-Service Refill Water? 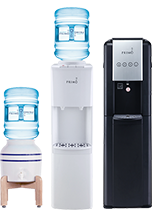 Primo® Self-Service Refill Water is available nationwide at thousands of convenient locations. Click here to find a local store where Primo® Water is available.